Keep your neighbors in mind before your fence installation project! Howdy ho, neighbor! A residential fence can be great for keeping pets or children in your yard, keeping unwanted animal visitors out, or giving you some privacy in your outdoor living space. However, before you start a residential fence installation, there are a couple of things you’ll have to think about, and other things that it’s nice to consider. Do some research: There are a couple of things to know before you start diving into planning. The first step is to know what kind of residential fence you want. Wood, aluminum, steel, vinyl, and chain link all offer a variety of pros and cons, but at least one of them is guaranteed to give you what you need from your new fence. Know your limits: Another important piece of research is to know your property lines so you don’t accidentally encroach on neighbors’ property, cause disputes, and have to tear down your residential fence as soon as it goes up. Follow the rules: You also might have some local rules and Homeowners’ Association regulations to work around. Know everything there is to know about fence installation in your area. Let your neighbors know: Avoid potential anger and arguments by giving your neighbors a heads up that you’re beginning a fence installation project. Show your good side: It’s common practice to put the more finished side of your residential fence facing the street or your neighbors’ property to give it a nice all-around look. 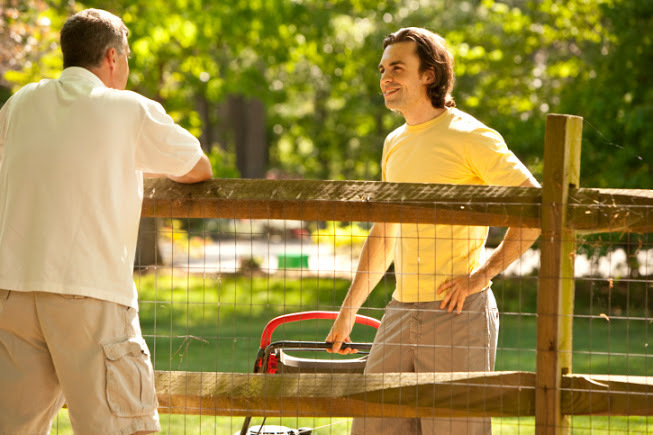 Keep it up: Good fence maintenance is your responsibility — for your sake and your neighbors’. Keep it looking good year-round to avoid complaints. Residential fences are a great addition to any home, but fence installation can be a bit of a chore. Hercules fence installation professionals will get the job done well and in a timely manner — you just make sure you’re ready for it! Ready for your New Residential Fence? We Can Help! Call Hercules Fence of Northern Virginia for your fencing needs. We have decades of experience in the fencing industry, and can offer you the best in ornamental steel, chain link, wooden fences and more. Our dedicated teams of fencing professionals are highly trained, skilled, and experienced in providing quality fence installations of any type. We’ll work with you to find a fence that bests suits your needs and budget. Contact Hercules Fence of Northern Virginia at (703) 551-2609, drop in, or contact us on our website to learn more about spring fence construction! You can keep up to date with offers and information from Hercules Fence of Virginia Beach on Facebook, Google+, Pinterest,LinkedIn, and Twitter. This entry was posted on Thursday, January 21st, 2016 at 7:50 pm. Both comments and pings are currently closed.